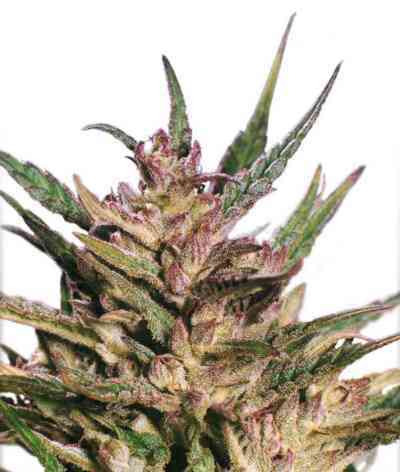 KC Brains KC36 is another new sativa/indica stable marijuana hybrid represented by K.C. Brains. Like any other KC Brains cannabis seeds, this new strain has been designed to bring satisfaction to you and a variety to your cannabis garden. Being sativa dominated, KC36 marijuana strain behave like a typical sativa. 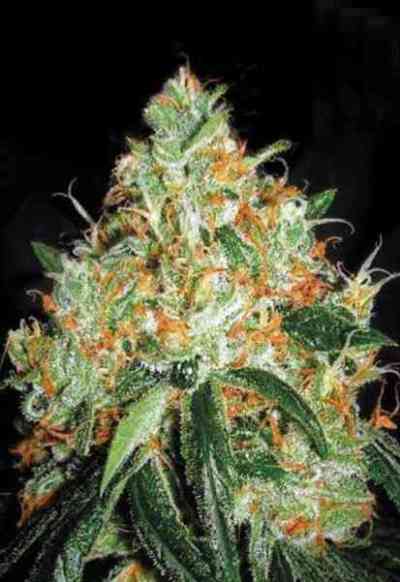 Her cannabis seeds produce tall thin plant with narrow light green leaves and chunky thick buds. Her average size can reach up to 1.75 m when grown outside; however, inside varieties of this marijuana will keep their height under control and won't stretch taller than 100 cm. It take KC36 sativa a bit longer to grow and mature; she also require more light. Medicine produced from this cannabis lower CBD and higher THC counts which produces a more clear headed, energetic type of high. The flowering stage is shorter than her close relative, KC33, and lasts only from 6 to 9 weeks outside; whilst indoor remains from 6 to 8 weeks indoor. Wherever you decide to grow this marijuana variety, vegetating of seeds of this marijuana variety can be just fun. Like KC33, they are highly resistant to fungi and plague and quite tolerant to irrigation. After a reasonable flowering period, plants begin to spread very pleasant fresh lemony sweet smell; KC36 is one of the favourite in the Amsterdam coffee shops. Then you can enjoy harvesting the aromatic, sugary, aminoacids and cannabinoids marijuana buds for 75-80 days. KC36 buds produce a quality THC and make it as high as 20% or more. Average outside yield is unbelievably high - around 900 gr. per plant; you can start your harvest at the end of September and carry out through October. Indoor plants will give you as much as 175 gr. per plant. The dried product has a long shelf life. As, like any other sativas, KC36 have high content of THCs and little CBD, it brings cerebral, soaring type of high, more energetic, creative and active, with no hangover or lingering effects. schnelle lieferung! verlässliche pflanze! kc wirft gut, harzig, alles wie es sein soll.